The project enabled the residents to rediscover their own history and hopefully has inspired a new generation of residents to get involved in local community activities. called The Neighbours – which has led to it being renovated. The project group also found out a lot about how the Highbury Quadrant estate was designed as model ‘modern’ social housing by a leading architect, whose aim was “to create a place even the queen would be happy to call home.” They learned how the ideas and values of the post-war generation meant that Highbury Quadrant was developed with a real passion for social justice. It included a community hall as well as play facilities for children. 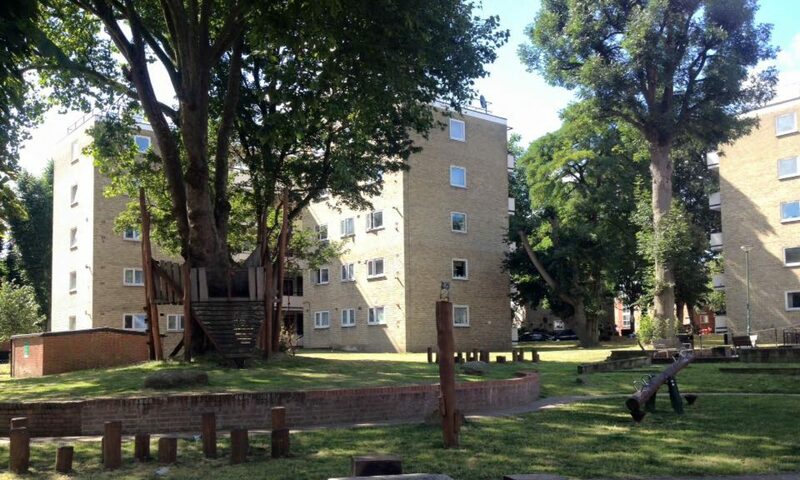 The old back gardens on which Highbury Quadrant was built were retained and there are now over 1,000 trees on the estate, with generous spaces between the blocks. Early tenants formed the Quadrant Community Association (QCA), which has voluntarily organised social events and community services since the 1950’s and still does so. Today, there are many ideas for improving Highbury Quadrant; and continuing to celebrate its rich and important history. The interviews that provide the basis of ‘Views from a Pear Tree’, and the film itself, are all part of this process. Make a hat competition. Highbury Quadrant Fair 2009.